The television market looks nothing like it did 15 years ago. 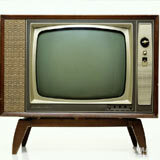 We’ve watched TV units change the basic technology that drives them, and in the process slim down considerably. The energy demands aren’t close to what they used to be, and as the picture itself has widened, it’s also become much, much sharper. In the simplest terms, in-home televisions can now deliver a cinematic quality that was unthinkable in the recent past. Of the various television types that have made their way onto the market, LCD and plasma TV units stand as the industry leaders in the ongoing battle for consumers. But where you might expect critics and industry experts to have reached a consensus on what TV type is best, you might be surprised to learn that there remains plenty of disagreement. The main reason this debate has proliferated is the widely accepted notion that each TV will have a certain appeal to different consumers, and how the buyer uses a TV will determine which type is best for him. That’s an accurate assessment, and it underscores the importance of knowing what you’re looking for in a television. Everyone values certain aspects of TV functionality differently, so if you want to make sure you make the right purchase for your personal situation, you’ll need to identify the features that will affect your daily use. Of course, when it comes to gauging picture quality, there’s no debate: Plasma comes out on top. LCD just can’t match the picture clarity and quality of plasma units, and that’s made this TV type popular among gamers and serious cinephiles. And despite past concerns, plasma burn-in and image retention is largely a worry of the past. With these newer models, there’s no risk of such technical failures when you’re properly using your television. But plasma comes at a much higher cost than LCD, which is its main drawback. Simply put, if you want the best, you’ll have to pay for it. But if you’re someone who is willing to compromise to save a little money — as many consumers are — then an LCD might be a good alternative to plasma. While not as sharp and stunning as plasma, LCD TV’s provide exceptional, high-definition picture quality that will be a vast improvement over whatever TV you’re currently using. LCD units have closed the visual gap considerably in the past few years, and while keeping prices much lower than plasma. One of the big advantages to newer television models is that, with their reduced size, it’s much easier to fit a larger TV into a tighter space. That’s improved the quality of in-home viewing for many individuals and families. But while this slim profile makes TV units much less of a space-related burden, it doesn’t completely nullify their presence. When it comes to plasma versus LCD, you’ll get the benefit of a lighter unit by going with LCD. That can make your TV easier to transport and mount on a wall. The LCD unit will also consume less electricity than a plasma unit of the same size, so if you’re considering utilities costs or energy efficiency, LCDs may again be the way to go. For the average TV consumer, the benefits of an LCD system may outweigh the benefits of a plasma unit that provides industry-best quality. Ultimately, though, you’ll have to decide for yourself which option is best. Some consumers won’t be satisfied with an LCD unit when they know a higher-quality picture is out there, and that’s fine. In the end, it’s a piece of entertainment equipment, and you shouldn’t have to compromise on something geared purely toward your personal enjoyment. Lindsey is a professional writer living in the Indianapolis area and she writes on behalf of Sears and other deserving brands. She specializes in writing guest posts on social media and education. Currently, Lindsey is completing work on her master’s degree.